January is such a satisfying month for gardening…especially of the armchair variety. Just think: no digging, no hauling, no sweating. Instead, you have the opportunity to sit in the slowly increasing sunlight, with an inbox or mailbox full of gardening PDFs and catalogs and books. It’s a time to dream and learn and plan. In short, January’s a fine month for reading about gardening. 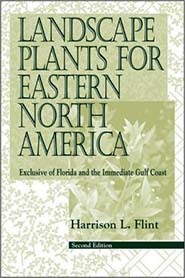 Every gardener has his or her favorite books and resources that they turn to in winter. This got us wondering: what does our head horticulturist Kris Jarantoski pull off the shelf when he’s thinking about his next gardening endeavor? 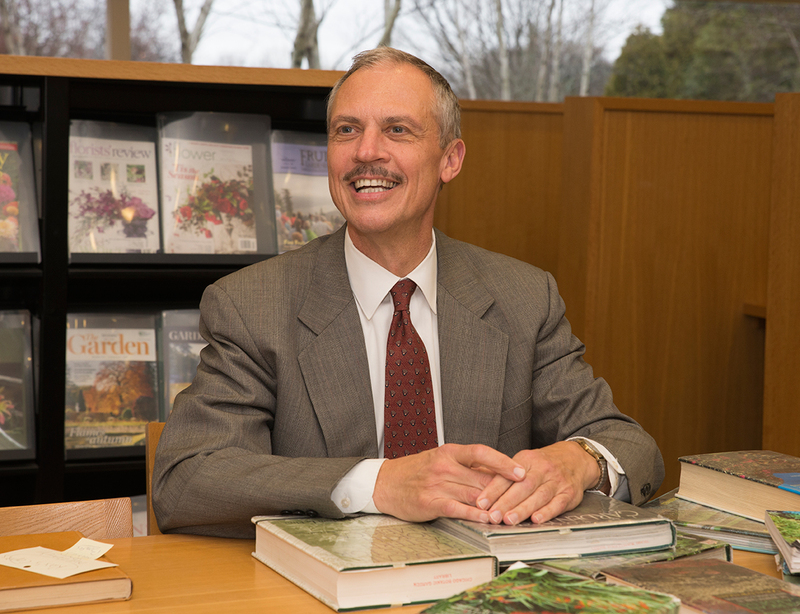 His answers reflect his 30 years of garden experience here—indeed, Kris was the Garden’s very first horticulturist—and a lifetime love of the natural world. 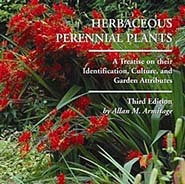 Its full title, Herbaceous Perennial Plants: A Treatise on Their Identification, Culture, and Garden Attributes, gives you the sense that this is an authoritative resource, and this gardening classic doesn’t disappoint. Armitage is that rare garden writer who is informative, interesting, and witty all at once. “If my mother had known that the spores overwintered on the blistered, ignored leaves by the garage, she would have removed them. Actually, she would have told her sons to do it, and we would have probably taken the Lawn Boy to them,” Armitage writes of hollyhocks—and his youth. 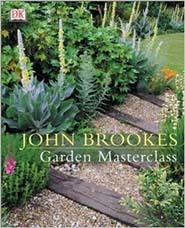 Walk through the blue gates of our English Walled Garden and you’ve entered the world of John Brookes. A visitor favorite since its 1991 opening, the garden’s six “rooms” feature all that Brookes is known for: impeccable thought process, original design, and a masterfully creative use of plants. 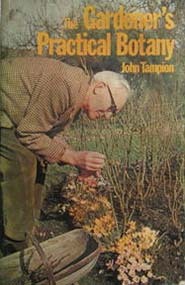 An older (1973) but beloved resource, Tampion’s book is important “because anybody who gardens should know how plants work—how they breathe and take up water and have a vascular system,” Kris explains. “If you know how and why plants work—basic, practical botany—then you understand what’s happening when a rodent girdles your fruit trees.” Can’t find Tampion’s book? Try Biology of Plants by Peter Raven/Ray Evert/Susan Eichhorn—just one of the great botany books on the shelf at the Lenhardt Library. 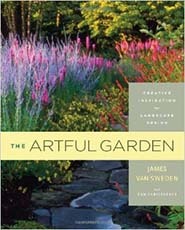 Less a reference book than a work of art about the art of gardening, 2011’s The Artful Garden became the final book by the late landscape architect James van Sweden (who died in 2013). By relating gardening to the arts—music, painting, dance—van Sweden “opened my mind as to how things work together in a landscape,” Kris says. 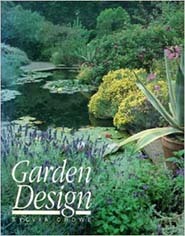 “He was the visionary behind Evening Island, and the great photographs in this book remind me of how we thought about every aspect of the design as we worked on it.” A fine book for daydreaming about gardens large and small. The magazine/periodical racks at our Lenhardt Library are a gardener’s guilty pleasure: gorgeous cover after gorgeous cover begs “pick me” for every gardening topic under the sun. A magazine browse is a fine way to spend a January day. Bring your sketchbook or laptop and plan your spring garden in the Lenhardt Library. Pull up a chair. Pull out a book. And enjoy a little armchair gardening in January. 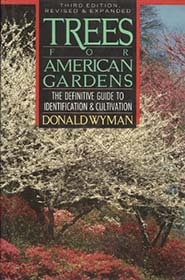 What are your favorite gardening books and websites? Tell us your top three titles in the comments section below! 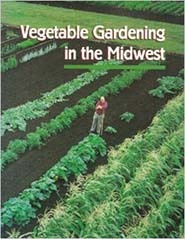 Vegetable Gardening in the Midwest is also available free online from the U of I’s Internet Archive: https://archive.org/details/vegetablegardeni1331voig. Not as cozy as thumbing through one’s own print copy, but easier than a trek out to find one in this wintry weather! Digital versions definitely qualify for armchair gardening! Great resource, Anne, thanks! Great recommendations…I actually do garden year-round but I tend to slow down in wintertime. Love a great book.